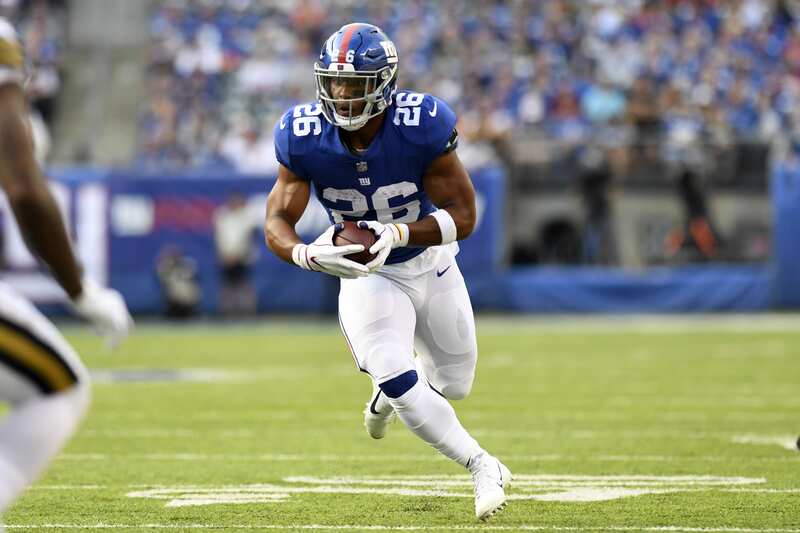 Saquon Barkley has been the best player on the New York Giants this season, and while some were concerned with the Giants taking him with the number two overall pick earlier this year, there’s been a seemingly endless stream of praise from both the media and fans alike. Some of that praise comes from former players from the Giants and other teams, and the latest player to offer praise to Barkley is quarterback Kerry Collins, who played with the Giants from 1993 to 2003. “The kid’s a special talent. He can do things on the football field that I’ve rarely seen guys be able to do. He has the rare combination of size, speed, athleticism. He seems like a quality kid, too. That’s the biggest thing. Seems like a humble kid who goes out and gives his best every week. No attitude, all about hard-work. He’s representing Penn State really well,” Collins stated. Collins himself is a product of Penn State, the school where Barkley rushed for 3,843 career yards and 43 touchdowns across three seasons. His stats haven’t slowed down since then. Barkley almost has a thousand yards rushing in his rookie season in the NFL, having played in all 12 of the Giants games so far. With only four games left in the season, it’s almost certain that he’ll meet that mark. Impressively, Barkley’s numbers put him at third overall in the NFL for total rushing yards right now. Obviously, that’s quite a feat for a rookie player that’s behind an offensive line that has looked like one of the worst in the entire league at some points this season. Only Ezekiel Elliot and Todd Gurley have more yards, and both of those players are on teams with more wins and better support from their blockers. That career will continue on Sunday against the Washington Redskins, who will face the Giants at home. A win would give the Giants a winning streak of two games, after they defeated the Chicago Bears on the weekend. And if they do get that win, you can be sure that Barkley is one of the players most responsible for it.